In this customer-centric era, it is very much important to deliver exceptional customer service to the customers for the long-term growth of the company. No matter how great the customer service you provide, you can always improve by learning from industry experts. When it comes to improving, finding a great book on that topic is a great way. Investing your time and money in reading a book will give you access to an experts’ knowledge. Customer Service is a very complex topic to decide when you are in a flux. 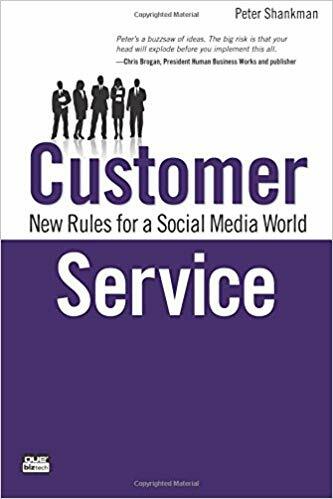 There are several books on customer service, which many illustrious writers and authors have penned and we believe you can take a leaf out of their pages to provide the best possible Customer Service Experience to all your shoppers. 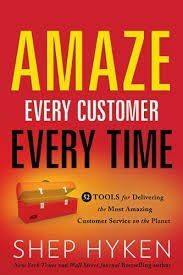 So let us check out the top 5 best customer service books that you can read to improve Customer experience and service. Hugging your Haters, or in this case, your rough consumers can be one of the most ingenious ways to keep your shoppers happy. Most Consumer Support Concept of companies is outdated and they require a migration. This particular book addresses all the concerns that you may have about it. The book has been created with the vision to make you understand the modern consumers, the modern approach to serves them, and troubleshooting of all modern problems and complaints. The book will teach you some important tricks that would easily help you to tackle today’s shopper. It will enhance your ability to react to haters and successfully serve them in the right way. The book will also give you tips on how to negotiate internet trolls and the benefits of answering to every single complaint that you receive. 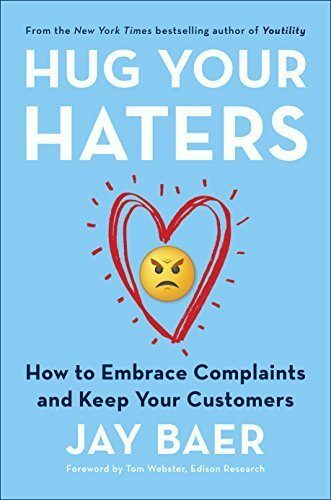 Hug Your Haters will easily teach you all the latest flings in today’s contemporary business world. 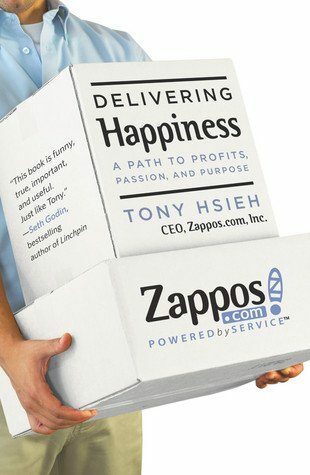 Delivering Happiness is written in a narrative form and tells the story of Hsieh and his life as an entrepreneur. He describes what challenges he faced and endured when he founded Zappos and LinkExchange. The book is divided into 3 parts, and each of them describes his adventures in the business world. The book also covers the part where he sold LinkExchange to Microsoft and Zappos to Amazon, in his own narration. If you read the literature you will understand Hsieh’s take on what he learned, and how his venture kept its promises. He talks about how important it is to keep everyone around you happy, including clients, and that itself can change your own emotions positively. Managing the Customer Experience is all about your faithful shoppers being the Advocates for your Brand or Company. Smith and Wheeler have very categorically mentioned Companies here that have easily and effortlessly turned their consumer base into brand advocates. These advocates are the ones who constantly recommend the product of these companies to their friends and family. Smith believes that the reason they do this is that these firms have established a Branded Customer Experience. They have created such a fantastic bond and relationship where their followers and buyers just can’t think of doing business with other firms or competitors. Intrigued and fascinated, thinking how you can do the same with your entity? Well thankfully for you, Smith and Wheeler answer this million-dollar question too in this top-selling book. The authors hit the nail on the head by teaching you how you can think from a consumer’s point of view to generate that type of loyalty and profitability. Hyken is a very famous Customer Experience Expert and in his book he talks about how providing good service can easily turn your good firm into a great venture. He literally deciphers how Ace Hardware became one of the best shopper-oriented companies in America and reveals how the organization achieved this mean feat. According to Hyken, there are 5 tactical departments where organizations have to focus if they want to ‘Amaze’ their consumers: culture, leadership, competitive edge, community, and one-on-one. Amaze everyone talks about 52 Tools, or ways, by which you can lure your customers and give them a great experience. 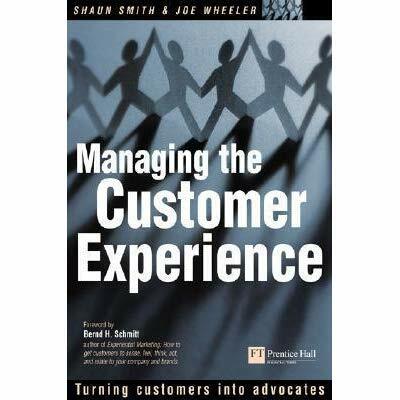 If you want to transform your entity for better consumer service, reading this book will simply open up your eyes. Social Media has become so ubiquitous and popular that it can easily promote or demote your venture, in a matter of seconds. But, let us stick with the positives, and understand that Social Media is a tool which we can use to make our company more visible, popular, and trendy on the internet. Shankman, who is an online marketer himself, shows in his book the ways you can master the art of using social media to your advantage, with absolutely zero investment. The author talks about his work at HARO, an online growth entity, and provides details about what consulting and idea crunching he did on the topic with several Fortune 500 companies. Shankman in this book will tell you how you can correctly use Social Media and all the Do’s and Do not’s in it. The write-up also emphasizes on why you must make sure everyone hears you out when someone praises you online. The book will give you details about how to build consumer trust, loyalty, and credibility over the internet. It will teach you ways of how you can dodge online complaints and attacks that can kill your reputation on Social Media. Online and Social Media Customer Service is vital, and Shankman will tell you how to make the most of it in a step by step analysis. So, these are some of the best customer service books which can help your business to enhance your customer's experience and to streamline your customer support operations and services.